Have you been referred to our office for diagnosis and treatment of gum disease or for any other issues relating to the health of your gums? As a dental clinic in downtown Halifax specializing in periodontics, Park Lane Dental Specialists provides a range of periodontal services on a referral basis to patients. We specialize in in the management of the hard and soft tissues surrounding your teeth, and we offer periodontal treatments such as crown lengthening, bone and soft tissue grafting, biopsies, dental implant placement and the treatment and maintenance of gum disease. The key to a positive outcome for gum disease is early detection of symptoms followed by conscientious ongoing treatment. Gum disease is a chronic condition so proper maintenance of symptoms and conditions will ensure you the greatest chance to keep your teeth and mouth healthy. During your first periodontal appointment in our office, we will thoroughly examine your mouth and teeth and take X-rays of your teeth and jaws. After the examination we will present you with your diagnosis and treatment options best suited to your individual case. The regular scaling treatment you receive during a professional cleaning at your regular dentist’s office will remove plaque and tartar above the gum line. However, in cases where you haven’t had a scaling in a long time, or in situations where tartar has formed high above the gum line, it will be necessary for a periodontist to clean the tartar from the tooth using deep scaling or root planing techniques. Both treatments remove this tartar, protecting the root and gum tissue from the risk of infection. Sometimes a tooth is so damaged or decayed that it begins to present a health risk to your gums and your other teeth. In these cases we will need to extract the tooth. We perform extractions with a focus on minimizing the damage to your gums and jaw to ensure proper healing and give you the best chance for a successful restoration such as a dental implant. Our periodontist will also take measures to protect the socket from infection or complications such as dry socket. When a tooth is extracted the bone and gum tissue in the area near the empty socket can atrophy and tissue loss can occur. The teeth adjacent to the missing tooth can also become weaker without the missing tooth to support them and they can begin to “lean” into the gap left by the lost tooth. Our periodontist can preserve the socket left by the missing tooth by filling it with surgical filling material, and they can also take measures to ensure that your ridge, the area of bone tissue that holds the tooth roots, is preserved against atrophy. After a tooth is lost the bone tissue around the root of the tooth begins to shrink. Over time this can lead to extensive bone loss in your jawbone. This bone loss can eventually result in changes in the shape of your gums or jaw bone, which can complicate later placement of bridges, dentures or dental implants. We can restore the lost bone tissue and augment the ridge by providing bone grafts to the area, restoring the ridge a normal shape and size. A sinus augmentation, or sinus lift, is a procedure where a periodontist adds bone tissue to your upper jaw above your molars in the area of your sinuses. It is a surgical procedure used mainly to providing sufficient bone tissue in the area to support dental implants. Sinus augmentation is also used to reconstruct the upper jaw after bone loss due to disease. Bone grafts are used anywhere the bones in your jaws need to be restored or built up. They can be used to prepare an area for placement of a dental implant or for cosmetic improvement of areas that have been visibly damaged by bone loss. Our periodontist will replace your bone tissue by either grafting bone from another part of your body or donated bone from a cadaver. It can take anywhere from four to nine months for a bone graft to heal and integrate into your natural bone. 3) to prepare an area of your mouth where your teeth will be moving due to orthodontic treatment. We will generally use soft tissue from within your mouth, usually from your palate (the soft tissue on the roof of your mouth) to perform grafts. In some cases we may use specially prepared donated tissue for the graft. When infection forms around the base of your teeth, it can create small “pockets” in the soft tissue around your teeth. Over time these pockets can expand and grow deeper, increasing the risk that they can host harmful infections. To reduce the risk of infection and protect your gums our periodontist will surgically reduce the depth of these pockets. A frenectomy is the surgical removal or alteration of connective tissue, called a frenulum, in your mouth. These are the little bridges of tissue that connect your upper and lower lips to your gums and the bottom of your tongue to your lower jaw. Sometimes a frenulum can be too short, resulting in discomfort, and it is necessary to remove it to provide relief. Crown lengthening is a procedure where a periodontist reshapes the gum and bone tissue around the base of a tooth to expose more of the tooth’s crown. It is mainly used during restoration of broken or decayed teeth with a crown. 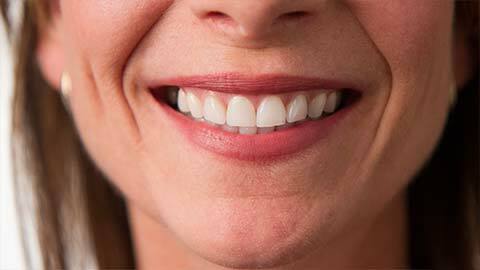 To ensure proper health, there needs to be a two to three millimetre gap between your gums and your crown. Crown lengthening is used to provide this gap and to expose enough of the tooth to be restored so a crown can be placed. Crown lengthening is also used to provide cosmetic correction of a “gummy” smile. Phasellus mattis ac quam faucibus consectetur. Mauris eleifend consequat turpis, a interdum lacus finibus at. Integer fringilla dui justo. To learn more about periodontics, or to book an appointment with our periodontal team, call our Halifax office today.